This is Mikey’s First Ever DVD. Series 1. American Baby Flat Hats, Loom Knitting with one tutorial exception to Crochet. 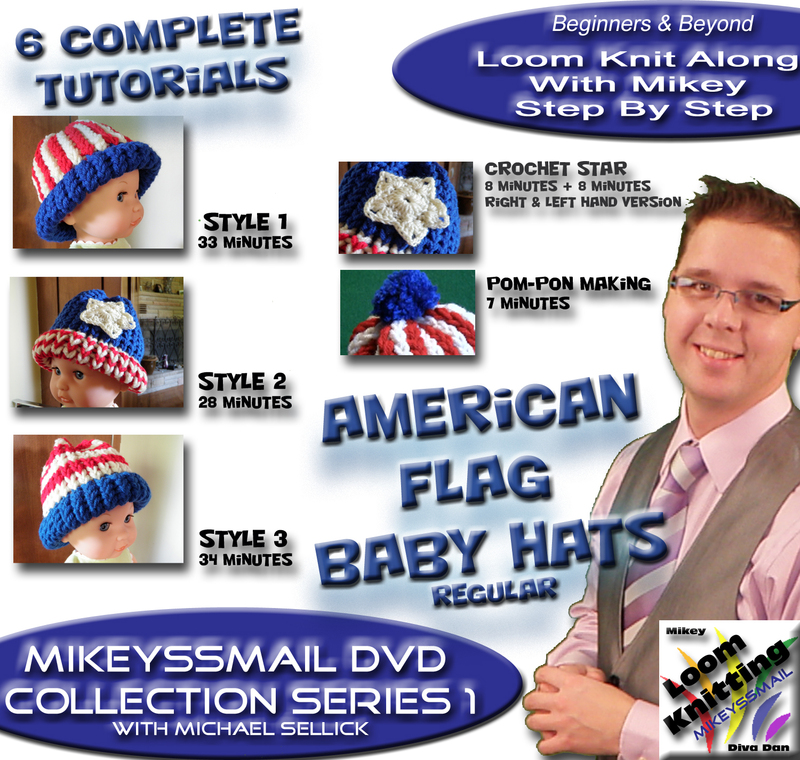 Mikey walks the viewers through this 118 Minute Tutorial DVD with teaching 3 separate hat designs which represent the American Flag. Mike goes further with teaching how to make a cute pom-pon and a mini super star for the hats. This DVD is $15.00 USD. That includes sales tax and shipping to Canada and USA Residents. Get off the computer and put this on your TV and sit comfortably on your favourite chair and learn along with Mikey. This entry was posted in Announcements and tagged American, American Baby Flat Hats, American Flag, Baby, DVD, For Sale, Hats, How To, Knitting, Learn, Lesson, Loom, Loom Knitting, Pay Pal, TheCrochetCrowd, Tutorials, TV. Bookmark the permalink.